Odyssey of the Mind is an international creativity competition that helps students develop skills in problem solving, critical thinking, teamwork, math, language arts, science, writing, engineering, and the performing arts ( http://www.odysseyofthemind.com ). They wrote an original script, created all of their own props, scenery, and costumes, and learned about teamwork and creativity along the way! They won 1st in regional levels and 2nd in NC state competition. Now they have a ticket to worlds!! 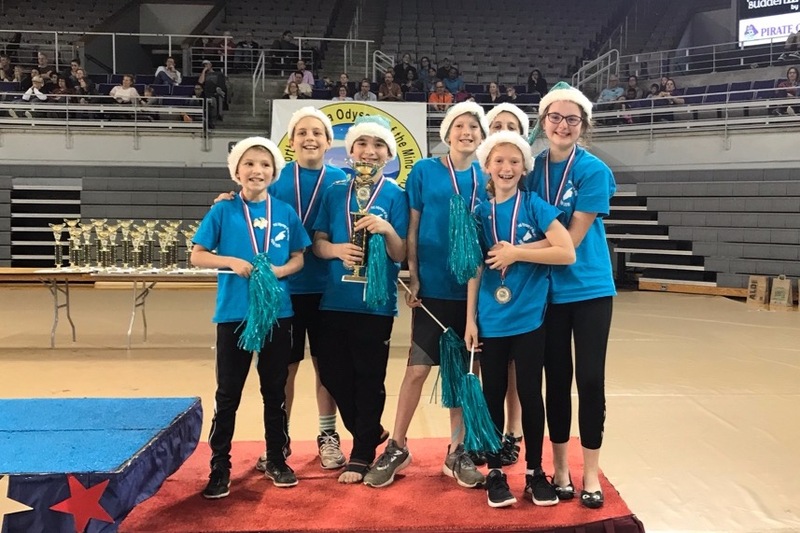 800+ teams from 26 countries will compete in the Odyssey of the Mind World Finals at Michigan State University May 22- 26, and Pleasant Union Elementary has qualified to compete! What will it take for our team to attend? This is where you can help! We are seeking sponsors to make donations to help offset the cost of attending the World Finals. We deeply appreciate any assistance you can provide to help our team get to Michigan State University for the World Finals competition. Your donation will go a long way towards providing these talented students with a once in a lifetime opportunity to showcase their talents, meet students from other countries, and proudly represent Wake County, North Carolina at an international venue. They are the first team ever from Pleasant Union to make it to worlds.